These national firms are suggesting that digital reporting at a deposition is comparable to having a stenographic reporter present at the deposition. They are suggesting that a shortage of stenographic court reporters has created a need for this alternative method of preserving testimony. They are suggesting that this will assure you coverage for your depositions. 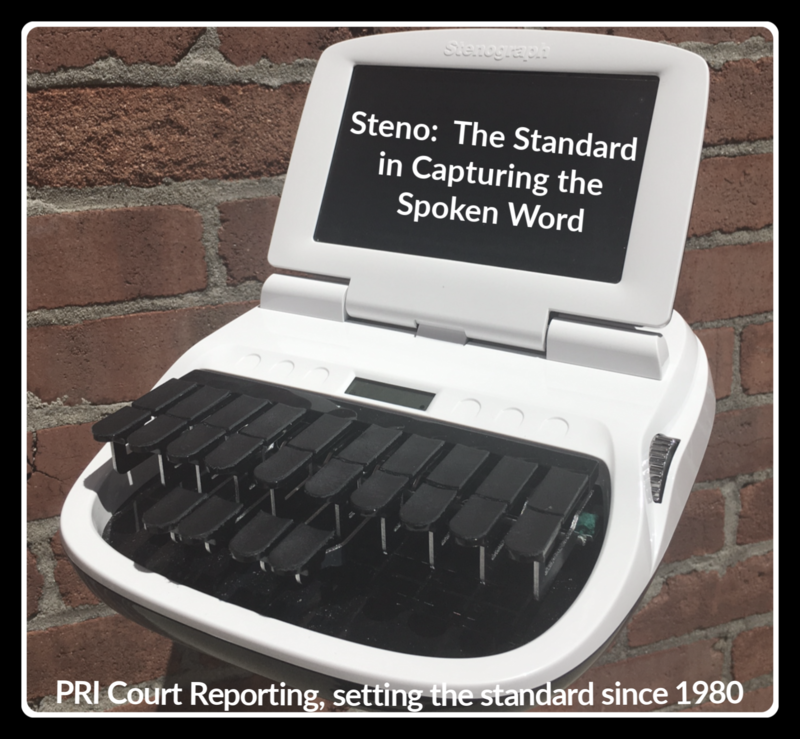 We disagree with this stance and we feel very strongly that the stenographic profession is strong, very capable, and committed to the service we provide to the legal community. While we are not seeing these challenges in the Ohio area yet, there are cities across the country where attorneys that are required by their client to use these large firms (an issue for another day!) are facing the challenge of getting their depositions covered with stenographic reporters, thereby having to reschedule or cancel them. There are several reasons some of these national firms have trouble finding court reporters to cover these jobs, including low rates to the court reporter due to contracting with insurance companies and corporations. As a local, court reporter-owned firm with over 30 years of experience, we want to make sure you have enough information to understand the complexities of this situation if you’re ever faced with it, either in Ohio or when traveling to other cities for depositions. In the states that have court reporting certification and professional standards, such as California and Texas, having a digital “reporter” present at a deposition could jeopardize your record, your case, and your relationship with your client. In California, stenographic reporters are licensed by a board in the same state department that regulates CPAs, physicians, and other professionals1. They are subject to discipline by that board for their conduct. Machine operators or digital recorders are not trained, certified, or regulated in any way by the state. Disastrous consequences for your case when machines malfunction2. Operators who are fired for unethical conduct can continue to work at other digital reporting companies without state-approved repercussions. The deposition could be inadmissable3. 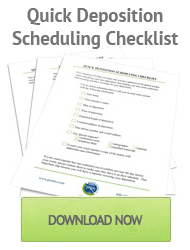 Ability to provide immediate readback, realtime, rough drafts, and expedites. Stenographic reporters can provide services via videoconference or telephone. Ability to request clarification on the spot if they are unable to hear a word or phrase. This can happen due to witnesses with heavy accents, technical terminology, traffic outside an office, coughing, paper rustling, or any other noises that could disrupt the proceedings. Your transcripts are certified as accurate by the stenographic reporter that was present at the deposition. You don’t have to worry about having transcription outsourced to an unqualified or uneducated transcriptionist. 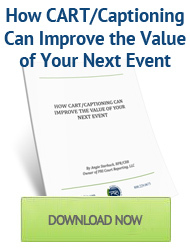 Choose a licensed or certified stenographic court reporter for your record every time. If you’re traveling to other cities or states for your deposition, be sure to request a “stenographic court reporter” when scheduling with your chosen court reporting firm. 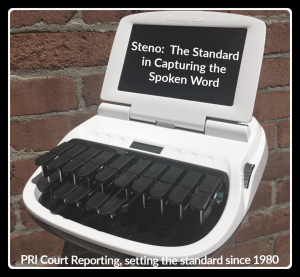 If you ask for a certified stenographic court reporter (whether certified by the state or NCRA), you can be assured you’ll receive a quality transcript, which is exactly what you and your client deserve. Angie Starbuck, RDR/CRR/CRC is a court reporter in Columbus, Ohio, and the owner of PRI Court Reporting, LLC. Connect with her on LinkedIn. You can also follow PRI Court Reporting on Twitter and Facebook.